Virginia Carroll Chollett obituary. Carnes Funeral Home. Virginia Carroll Chollett was born at home in Cameron County, Texas on January 16, 1926. She died at home in Texas City, Texas on June 8, 2017. A life-long educator, Virginia taught elementary school in the Texas public school system for 30 years, retiring from Texas City ISD after a number of years at Heights Elementary. After “retiring”, she taught computer science at College of the Mainland. For years, she did the books for the Texas City Day Nursery and Memorial Lutheran Church, training many a church teller. She played various leadership roles at Memorial Lutheran, where she was a member for 50 years and where she taught quilting. Multiple generations of her family benefitted from her knowledge of grammar, cooking, and crafts. 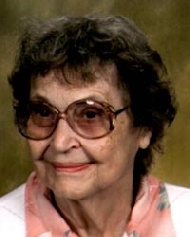 She was an excellent cook who enjoyed reading, math, drawing, quilting and Sunday lunches with the family. Virginia is survived by her husband of 62 years, Charles Henry Chollett. She is also survived by brother Ralph Cox of Montgomery, Illinois; daughter Becky of Frisco, Texas; sons Tracy and James (Deidre) of Texas City, Texas; grandchildren Matt, Zac (Madison), Jeremy, Lauren, Blake (Tyler); and great grandchildren Mason, Lilly, Cayden, Colby, Aubree and Alsey. The family would like to thank the staff at Mainland Center Hospital CCU who were so thoughtful and caring during her final hospital stay. There will be a memorial service on Saturday June 17, 2017 at Memorial Lutheran Church, 2021 29th Street North, Texas City, TX 77590. Visitation with the family will be at 10:00 am, with a memorial service at 11am. A meal will be served in the fellowship hall after the service.